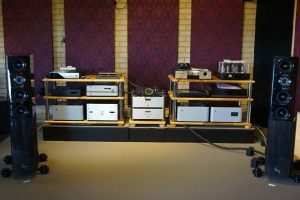 Simply Hi Fi was established in 1988. Like many hi fi establishments, it was the culmination of a hobbyists dream. In those years high end brands were not readily available in Perth and I offered people the opportunity to audition such brands. Simply Hi Fi evolved with the times and embraced home theatre, the emphasis now not only being picture but as always the best possible sound for the amount invested. With the advent of the internet, the time has arrived for change, and Simply Hi Fi is now part of that change. I am still available for advice, personal sales with an assurance of good service. Demonstations are available by appointment. I would like to thank all my past clients for their support, and look forward to maintaining their high standards in audio and video, and welcome new clients.